Though it got off to a rocky start, one could certainly say that the DC Extended Universe is getting back on track. Sure, Justice League may have massively underperformed at the box office (yet was quite entertaining) after Wonder Woman proved to be a massive success by her lonesome, but then Aquaman made a billion dollars and Shazam! is already garnering much praise. Hopefully future offerings like Joker and Birds of Prey (And The Fantabulous Emancipation of One Harley Quinn) can keep the ball rolling. If these trends continue, then perhaps Warner Bros. will continue mining DC Comics’ mythology even more. In fact, a source close to We Got This Covered is telling us that Martian Manhunter is the character next on the docket. 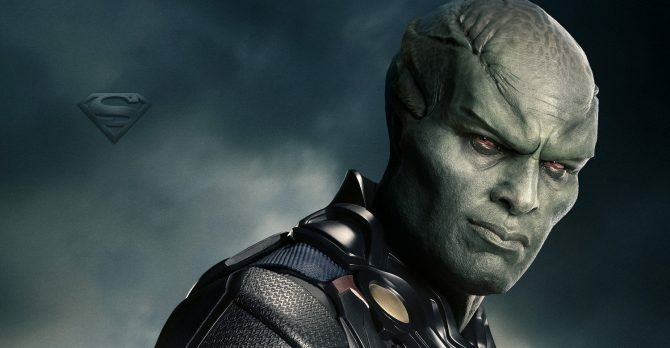 Of course, we have The Batman and The Suicide Squad to consider in 2021, but J’onn Jonzz could logically prime himself for theaters in 2022 if the ball gets rolling in time. What’s also worth mentioning is that the studio is said to desire an African American actor for the role. Although the character often assumed the likeness of a white man when posing as an Earthling in comics for the longest time, Smallville shifted the paradigm by casting Phil Morris when it was on the air. Since then, David Harewood, an English actor of color, has valiantly carried the torch on Supergirl. In my view, it’d make sense to continue in this vein because the mainstream has gotten used to men of other ethnicities playing this particular hero. As always, it’s advised that you keep watching this space as more develops regarding Martian Manhunter. In the meantime, though, let us know if you’d like to see the character on the big screen in the comments section below.